Cyanide and Happiness has nailed it. 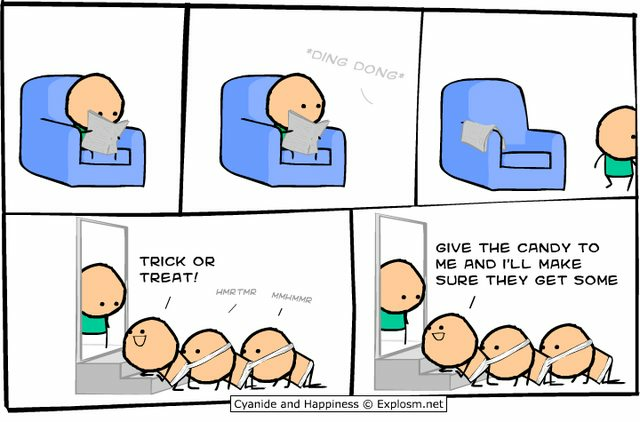 A simple Ding Dong can be convert your Halloween in the most awkward night if three children using a Human Centipede costume asks you for some candy. Remember to just feed the first one (with soft candies like Jell-o). » Scrubs: Steve Porter REMIX! » Parody: Lady Gaga Gets Arrested!